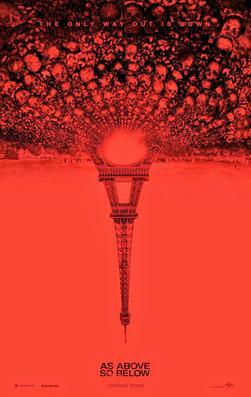 We have a few pairs of tickets to see As Above / So Below before it is released in theaters! To enter, email us with your name and your favorite underground horror film (or movie about Paris)! Winners will be chosen at random, only one entry per household please. I guess my favorite Paris movie/ underground movie would have to be Phantom of The Opera. I don’t have a favorite Paris or underground movie. However, I do like the resident evil movies, the first one was underground. My favorite European movie was Interview with an interview. I know it was not in Paris, but Europe is close enough – right.